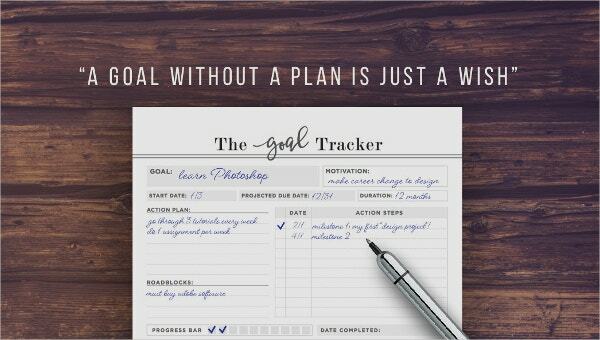 Every individual has its own goal in life whether for personal or career matter. 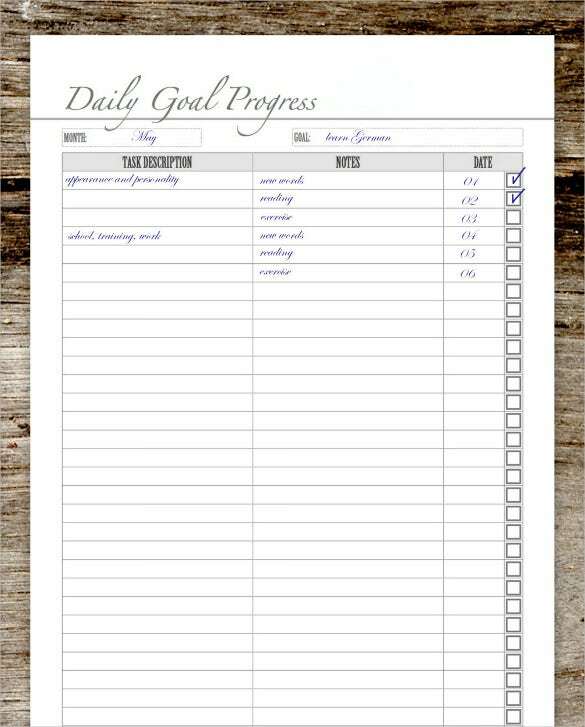 In order to know if the goal is achievable or not, one must keep monitoring it. 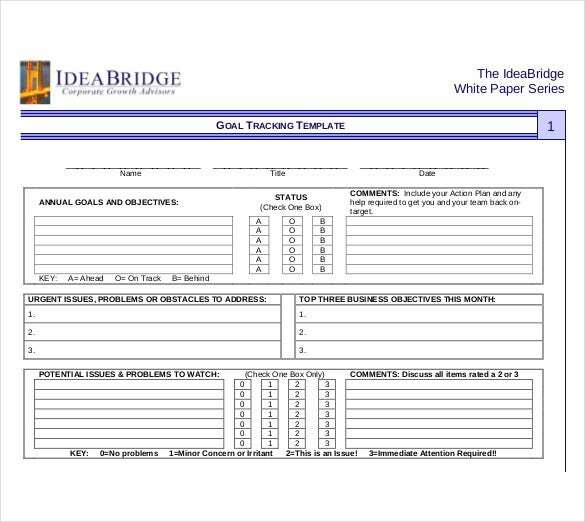 A goal tracking template is useful for people to determine and simply manage if their goals has been met or not. 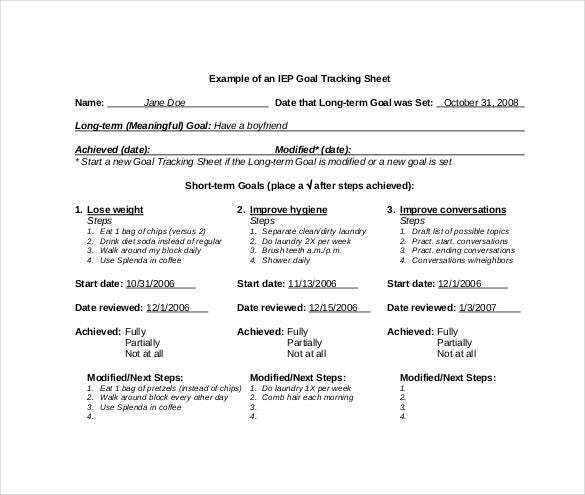 This is like a task tracking template. 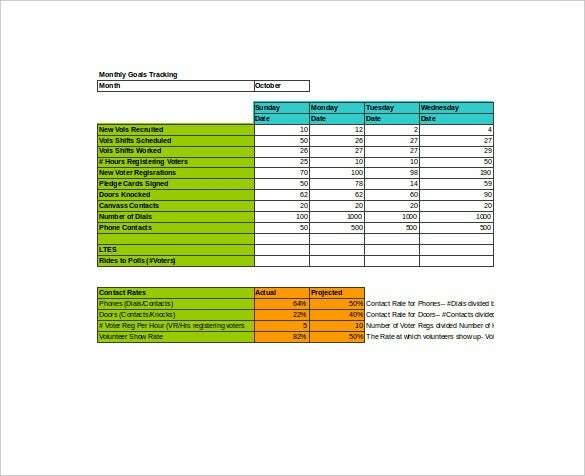 You can also see Budget Tracking Templates. 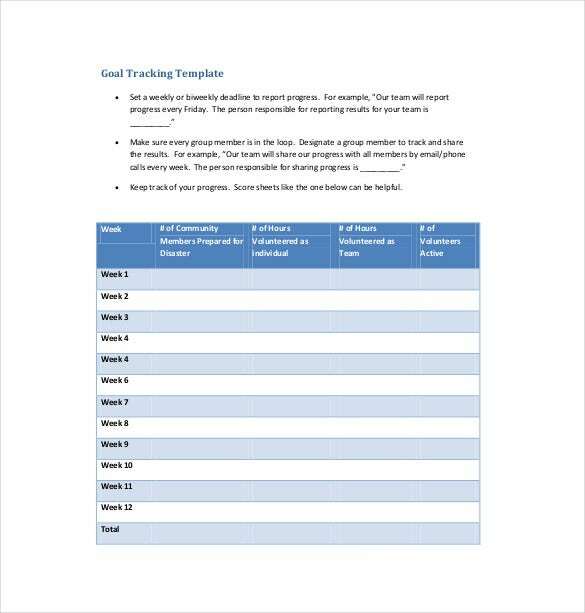 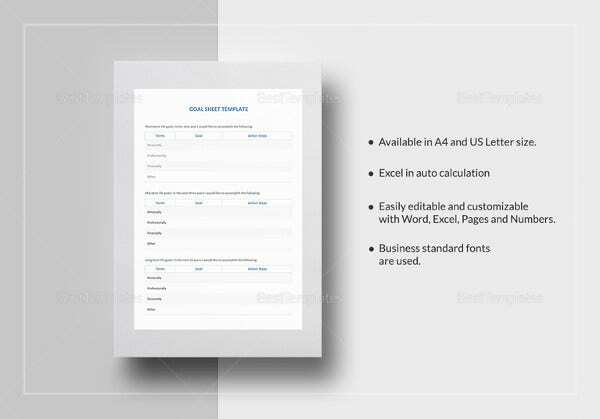 There are samples in Word, Excel or PDF format offered by the goal tracking template for free. 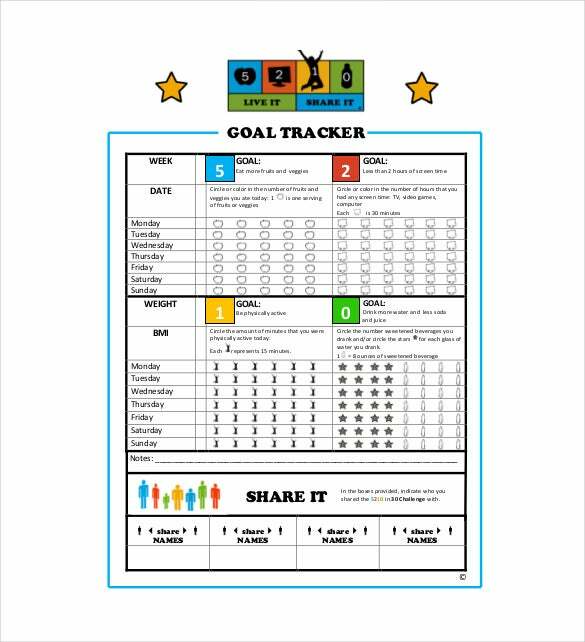 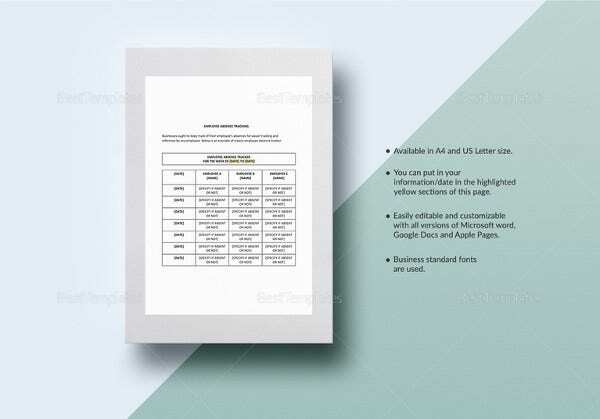 These samples are downloadable and once you have your desire format and structure of the goal tracking, you can now customize it before printing. 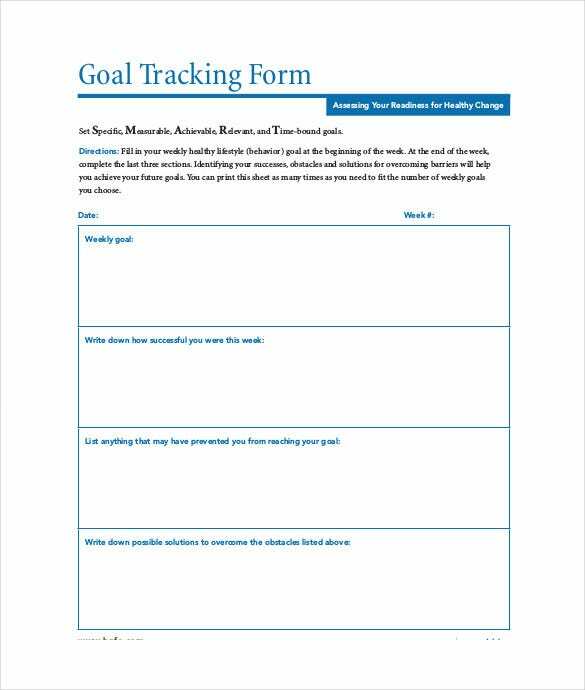 These Tracking Templates will help people to become conscious of their goals leading them to be a goal oriented. 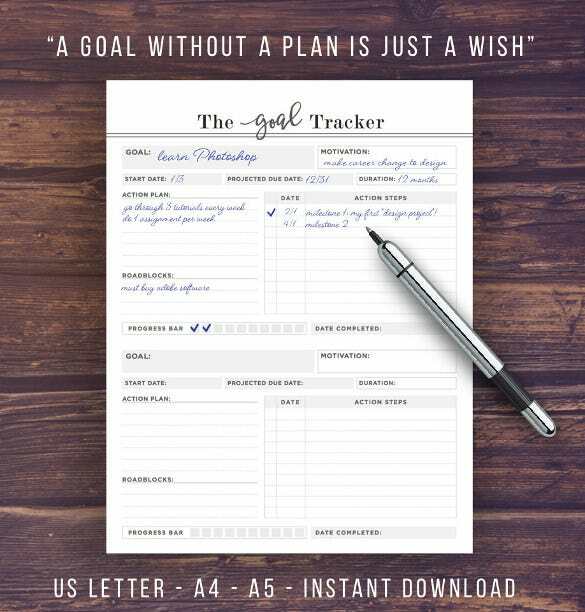 The Daily Goal Tracker Template is created and developed by professionals to help you define your goals, missions, and vision in life with great ease. 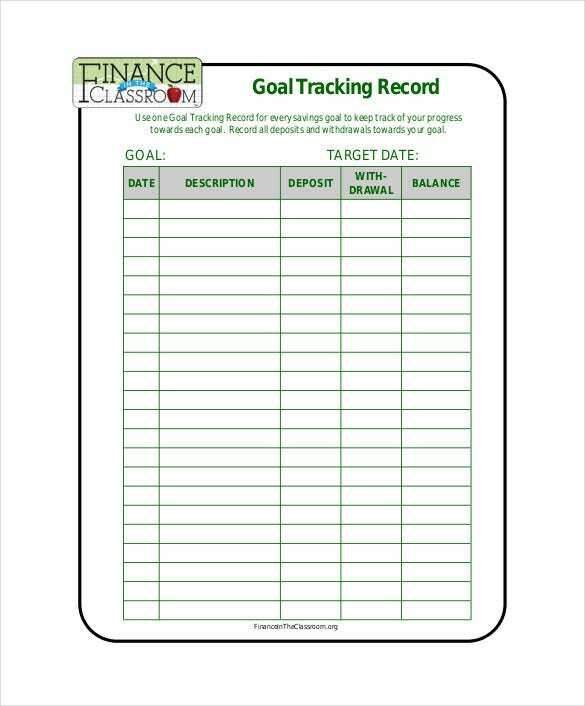 All of these templates are segmented into various fields and sections to ensure that you stay determined, organized, and focused while carrying out various activities to achieve a pre-define goal.